A lively, historically informed, and definitive guide to classic American cocktails. 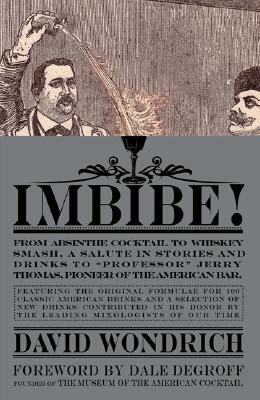 Wondrich reveals never-before-published details and stories about this larger- than-life nineteenth-century figure, along with definitive recipes for 100 punches, cocktails, sours, fizzes, toddies, slings, and other essential drinks, plus twenty new recipes from today's top mixologists, created exclusively for this book. This colorful and good-humored volume is a mustread for anyone who appreciates the timeless appeal of a well-made drink-and the uniquely American history behind it. David Wondrich is one of the world s foremost authorities on cocktails and their history. A contributing editor at "Esquire" and at "Wine and Spirits," he has also written for numerous other publications on the subject, including the "New York Times, Saveur, Real Simple, "and "Drinks." Dr. Wondrich holds a Ph.D. in comparative literature, and is a founding member of The Museum of the American Cocktail and a partner in Beverage Alcohol Resource, the world s first advanced education program in spirits and cocktails. He lives in Brooklyn, New York, with his wifeand daughter."